Shea, T., Cooper, B., De Cieri, H., Sheehan, C., Donohue, R., & Lindsay, S. 2018. Post-incident support for healthcare workers experiencing occupational violence and aggression. Journal of Nursing Scholarship. 50(4): 1-9. doi: 10.1111/jnu.12391. Shea, T., Sheehan, C., Donohue, R., Cooper, B., De Cieri, H. 2017. Occupational violence and aggression experienced by nursing and caring professionals, Journal of Nursing Scholarship. 49(2): 1–8. Shea, T., De Cieri, H., Donohue, R., Cooper, B., & Sheehan, C. 2016. 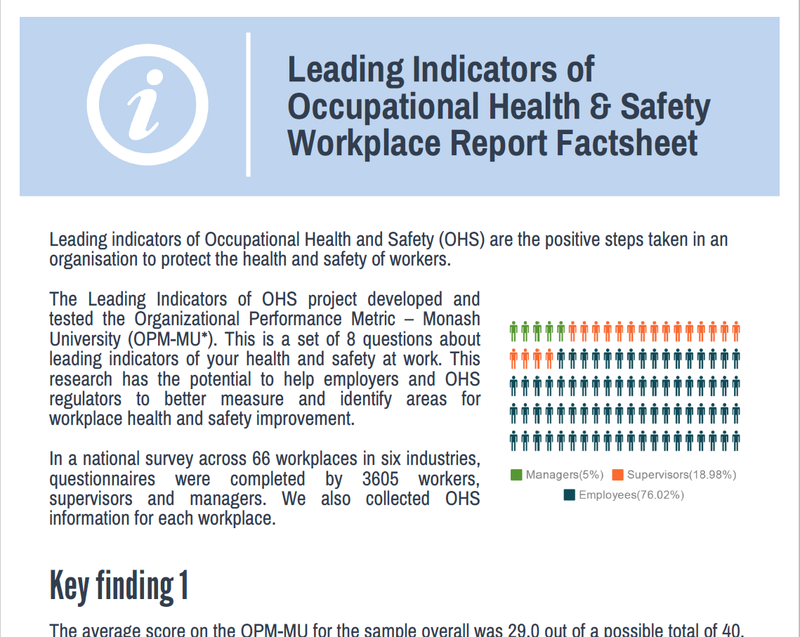 Leading indicators of occupational health and safety: An employee and workplace level validation study. Safety Science, 85: 293-304. Sheehan, C., Donohue, R., Shea, T., Cooper, B., & Cieri, H. 2016. 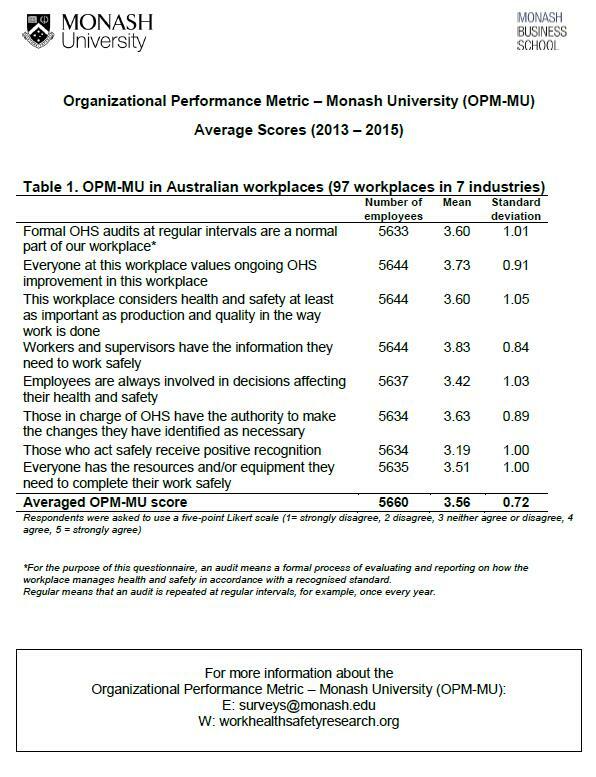 Leading and lagging indicators of occupational health and safety: The moderating role of safety leadership. Accident Analysis & Prevention, 92: 130-138. Victorian Auditor General’s Office (VAGO) 2016. Bullying and harassment in the healthcare sector, tabled in Victorian Parliament on March 23 2016. Victorian Auditor General’s Office (VAGO) 2015. Occupational Violence Against Healthcare Workers, tabled in Victorian Parliament on May 6 2016.